I am working on updating LibGuides for the Art and Architecture department. My first LibGuide is for the History of Photography classes and the undergraduate and graduate level. I am also working on comparison statistics between the FFAL and other specialized art libraries. My most recent project involves creating rotating exhibits for the display cases located just outside the library, connecting our materials with themes from the University Art Gallery’s exhibits. The first exhibit (Nov/Dec) is on the prints of Gertrude Quastler. 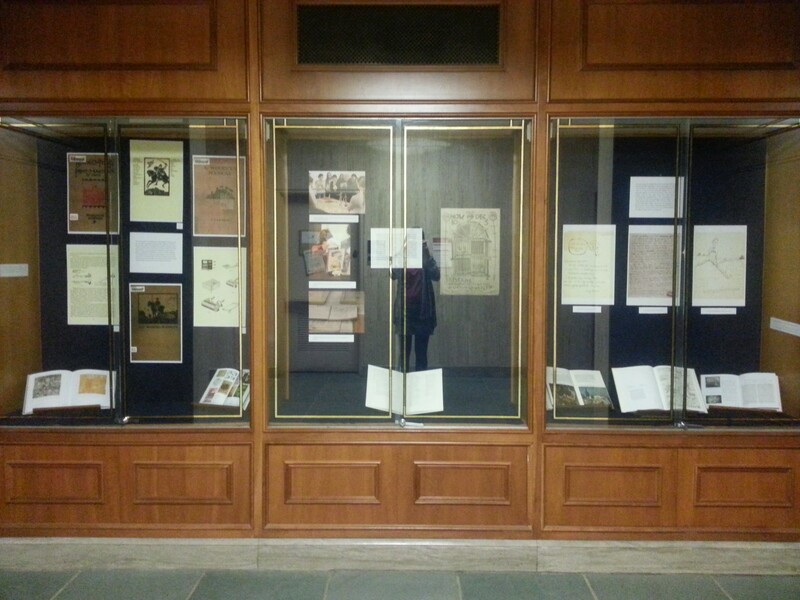 Exhibit on Gertrude Quastler, woodblocks, and artists’ letters.